Procedure, 1898 as well as Section 311 Cr.P.C. exercised to fill up lacuna in prosecution case. which a court cannot fill up. cannot be treated as irreparable lacuna. solely on the ground of delay. to facilitate unearthing truth in the matter. the return that power under Section 311 Cr.P.C. disclosure of the source by the accusedpetitioner. 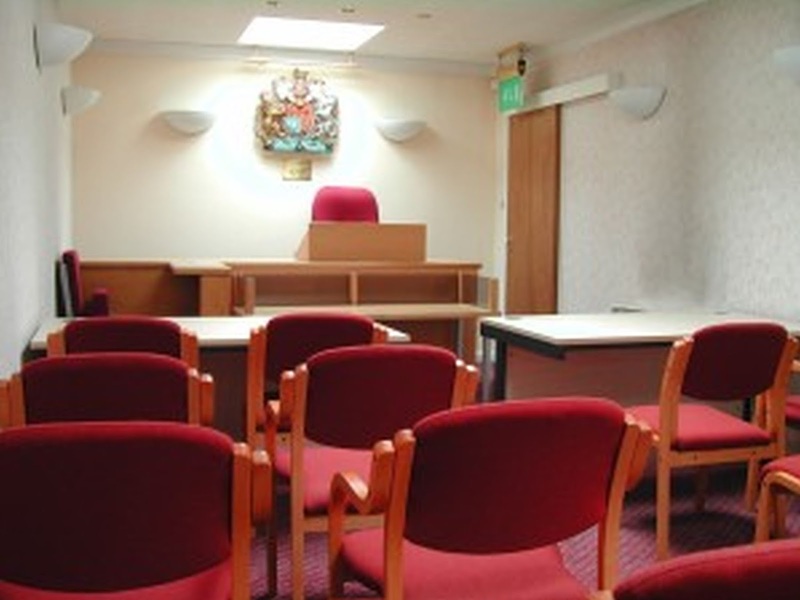 prosecution witnesses listed in the charge-sheet. rejected the application of the accusedpetitioner. of the accused persons is to delay the trial. the witnesses for just decision of the case. impugned order is per se vulnerable. Mr.
Court to recall the witnesses for further crossexamination. custody since commencement of the trial. necessary for the just decision of the case. the filing of charge-sheet before Jammu Court. terms of Section 311 Cr.P.C. to ensure just decision of the case.  Zahira Habibullah Sheikh (5) & Anr.  Iddar & Ors. Vs. Aabida & Anr.  Nitesh Vs. State of Rajasthan (S.B. decided on 3r d February 2012). 12. Per contra, Mr. S.K. Vyas, learned Addl. Advocate General, assisted by Mr. V.S. prosecution witnesses for their crossexamination. of the petitioner under Section 311 Cr.P.C. inherent jurisdiction of this Court. Learned Addl. is a just order, which warrants no interference. proceedings for defeating the ends of justice. of victim and other witnesses. Mr.
the root of the matter.  Mahesh Chand Khandelwal Vs.
 Zahira Habibulla H. Sheikh & Anr. Vs.
 AG Vs. Shiv Kumar Yadav & Anr. to throw light upon the matter in dispute. the case against either of the parties. the touchstone of language employed therein. essential to the just decision of the case. exercising power by a Court. heavy reliance is placed by the petitioner. subjected to cross-examination on various dates. phone which her mother or father was carrying. manner and conditions of freedom and dignity. declined to recall the victim for further crossexamination. the strength of these call details and SMS. about all these materials at the time of crossexamination. ambitious plea at the behest of accusedpetitioner. for recalling these witnesses for further crossexamination. requisite sting to conclude otherwise. power depends on facts of an individual case. object of arriving at just decision of the case. assistance to the cause of the petitioner. find out truth and render a just decision. The section is manifestly in two parts. position to speak important relevant facts. necessity for application of judicial mind. given, and can draw an adverse inference. determined by the Presiding Judge. highlighted in Jamatraj Kewalji Govani v.
advantage to the opposite party. 34. The judgment in Tomaso Bruno & Anr. evidence, which could have clinched the issue. is essential for just decision of the case. Court, after reading Section 301 and 311 Cr.P.C. recalling of a witness to arrive at a just decision. Supreme Court in Manan Sheikh (supra). judgment too is clearly distinguishable. for the complainant has placed reliance, i.e. necessary to do so for just decision of the case. under Section 311 Cr.P.C., are unfettered. 37. In Zahira Habibulla H. Sheikh & Anr. discretion of the court in any way. for a just and proper disposal of the case. to such request by lending its assistance. interest and miscarriage of justice. cross-examination under Section 311 Cr.P.C. passages from the trial court judgment. provisions Under Section 311 Cr.P.C. Cr.P.C. This Court in Vinod Kumar v.
referring to the aforesaid authorities. procrastination ruled as the Monarch. defence had examined 15 witnesses. agonies, for the society seeks justice. Therefore, a balance has to be struck. the invocation of Section 311 Cr.P.C. Whether Advocate can refuse to give No objection to his client if client wished to engage other Advocate? Whether Negotiable instruments (amendment) Act 2018 has retrospective effect? Whether Public Prosecutor can be allowed to sit back, handing over conduct of prosecution to counsel engaged by complainant? Whether accused can seek anticipatory bail when Magistrate has issued arrest warrant against him?